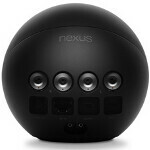 Android users favorite orb, the Nexus Q, was the subject of two out of three updates that Android owners awoke to on Thursday morning. The first one takes the minimum Android build required to use Nexus Q from Android 4.1, down to Android 2.3.3. This one move will add millions of possible Nexus Q buyers. And while that is sure to add to sales, the Nexus Q is already sold out at Google Play Store and is on backorder. At Google Play Store, the orb is listed as "ships soon" while underneath that, in smaller letters, is a note that the Nexus Q ships in 2 to 3 weeks. The other updates involve YouTube and Play Movies & TV. 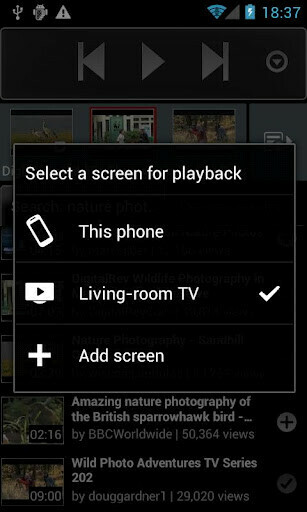 The YouTube app has been updated to allow it to send content to Nexus Q and to be used as a remote to play videos on other devices when used with an earlier Android build. The update to Play Movies & TV makes downloading from the app faster while it also kills off some bugs and improves performance. The trio of apps are all free and all available from the Google Play Store now. I know they ported CM10 to it. But!, I would like AOKP and to hook up a multimedia bluetooth remote. Now you got somthing. That would be a HTAD (Home Theater Android Device). Ya, it is a expensive, which is keeping me from buying it. But I love that fact that is it made in the USA and I most likely will get it in the future.